What is Dropped Head Syndrome? 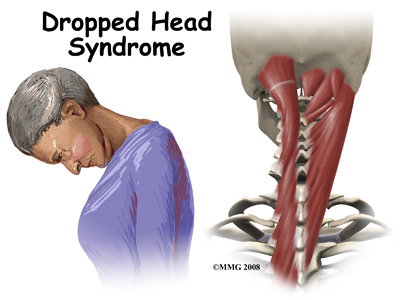 Dropped Head Syndrome is characterised by severe weakness of the muscles of the back of the neck. This causes the chin to rest on the chest in standing or sitting. Floppy Head Syndrome and Head Ptosis are other names used to describe the syndrome.